Sorry for taking a while replying to your last message.... we have been helping our daughter move. She only rents one room in a house - but it was surprising how long it took to move all her stuff! The computer is having a bad spell again..... the problem with recovering everything after a period when the computer has been left idle has been back again and also when first turned on it has been taking ages to get past the welcome screen and then sticks on the wallpaper-only screen for a while. As it seems that some of our problems may be to do with running XP - and as support for it is now being withdrawn - we have been discussing whether to update Windows to the latest version. Not sure if it would be worth it though, as this is an old machine and may, I guess, only have a limited life expectancy now. No worries. I'm sorry the problem persists. I still think the issue is in the system. As you probably have been able to tell we are in the middle of changing the board software so things are kinda like the move you just helped with (hope everything went OK). I really haven't had a chance to get with the Techs yet. But your registry keys for the system files location used by SFC looks exactly like those keys on my XP system. As for upgrading the system, if you decide to do that or just buy a new computer, I would recommend that you go with Windows 7. Windows 8 has been abysmal...to the point that Microsoft is working on rolling out Windows 9 months ahead of schedule. In the mean time, this is a Dell computer I believe, so if it is, let's see if their diagnostics can find anything. Click the Run Diagnostic button. Post the log generated in your next reply. I thought we were onto something with the Dell diagnostics thing! I ran it last night and it aborted in the middle of Linear Read Test 2, telling me: 'There was an issue running diagnostics'. I tried it a second time this evening though... I just left it running while I was out and when I got back just now it had finished - and all tests seem to have been passed. At the moment, the computer is still taking ages to start and sticking on the wallpaper etc.... but once it has eventually started, it seems pretty well behaved. Edited by Channeal, 28 March 2014 - 05:47 PM. Thanks. I don't see anything either. If the Tech sees anything he will let me know once he has looked at the log. Please tell me what version of Avast you have, as in Avast 2013. Do you have the paid version or are you running the free edition of Avast ? All I can find about my Avast antivirus is that it is 'Avast! Pro Antivirus'. I paid £19.99 to renew the license in November 2013. I cannot seem to find any more info, but hopefully this is what you asked for. Do you have the license code or activation code for the product? Okay.... I fear I am going to show my ignorance here! If I go to both the email and to my account on the avast website, it gives me a button to download the license... but when I click it, it tries to add the license to the program itself. I do have an order number and a product ref. number, but not a license code or activation code. Hopefully something in the above will give you what you need! PS On the link to the license download in my email it calls it: License_18762554.avastlic (this number is the same as the order number). Edited by Channeal, 29 March 2014 - 11:25 AM. That is the license. 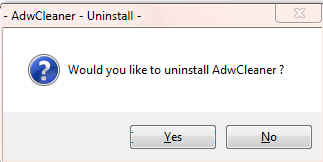 I just wanted to be sure you had it in case we need to uninstall Avast and reinstall it. But first I want to check and see if the Avast antivirus program is causing the issue when the computer starts up. Let's start by having the avast services load last. Right-click on the Avast icon in the system tray and choose “Open avast! user interface”. In following window, choose “Settings”. In the next window, click on “Troubleshooting” tab. Click the OK button to save the changes and close the Settings window. Now turn the computer off. Wait for a minute of so and turn the computer back on. If you don't get the hanging up at the wallpaper and windows loads normally then use the machine for a while and then shut it down again and then restart it and see if the issue is still gone. If the problem is still there let me know. Okay.... I wasn't sure exactly what you were wanting from the Avast license, but now I understand!!!! The computer has stopped sticking on the wallpaper again at the moment, although it still plays up when it has been idle for a while. Perhaps I should leave doing what you suggested with Avast and wait and see if it starts sticking on the wallpaper again? Yes. Leave the Load Avast services only after loading other system services box checked and use the computer for a couple of days and let me know how it is going. I did the 'Load Avast Services Only' thing a couple of days ago. So far, the computer has been starting up ok...... but then, it was in a well-behaved phase even before that. 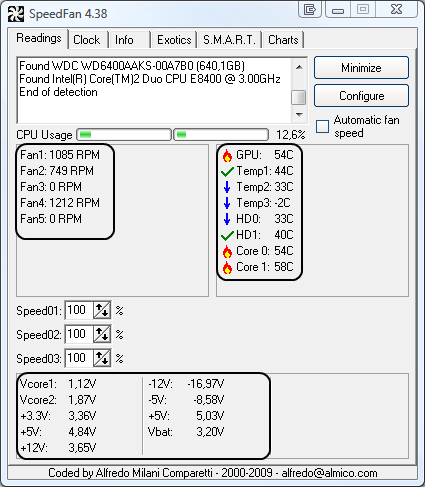 The problem when the computer is idle still persists intermittently.... but I am thinking now that it may be more to do with the mouse than the monitor. Anyway, on the whole I am very happy at the moment with how it is running. When these problems first began, I was convinced that something major was happening - and that the fairly new hard drive was about to fail - so I am very happy that that hasn't happened (though perhaps I shouldn't talk too soon!). The only really troublesome problem at the moment is that when playing music the sound quality does not seem as good as it was and occasionally there is terrible interference. One thing I did look at was Dell PC Checkup System History. On the 22nd February - which was the day when I was running scans etc. prior to contacting you and the day when problems started when I tried to run ADWCleaner - there are lots of changes listed. Unfortunately though, I do not seem to be able to copy/paste them to show you what is there. I'm sorry you haven't been feeling well. I hope you are better. I'm glad that the machine is running ok. I would leave the Load Avast services last box checked. If you think the mouse is the problem you should be able to go into device manager and uninstall the mouse, then reboot the computer and Windows should find the mouse and reload the driver if this is a standard PS2 mouse. If it is a USB or wireless mouse you may be asked for the installation CD as XP didn't include a lot of USB or wireless mouse drivers. Or it may be time for a new mouse.The sound problem is probably a audio or video card driver and a Tech would be the person for that. I'm not sure how to get those PC Checkup history reports but a Tech will. I am going to post a new request for the Tech staff to have a look. And in the mean time I will post instructions to clean up the tools we have used and some suggestions on how to keep the computer secure. Hang in with me a little longer please. Phillpower2, on of our Techs, will look at the issues with the monitor and sound. I'm going to post the cleanup instructions and some suggestions to keep the computer more secure in the future. Please let me know when you have finished that and I will notify the Tech. OK! Well done. Here is the best part of the process! The mullygrubs are gone! That's a technical term for your log(s) appear to be clean! If you have no further issues with your computer, please complete the housekeeping procedures outlined below. The first thing we need to do is to remove all the tools that we have used. This is so that should you ever be re-infected, you will download updated versions. If you didn't uninstall ESET after running the program we will do it now. 3. Click on each program to highlight it and click Change/Remove. 4. After the programs have been uninstalled, close the Installed Programs window and the Control Panel. 1. Please copy all of the text in the Quote box below (Do Not copy the word Quote). To do this, highlight everything inside the Quote box (except the word Quote) , right click and click Copy. Please re-open on your desktop. Place the mouse pointer inside the textbox, right click and click Paste. This will put the above script inside the textbox. Let the program run unhindered. When finished click the OK button and close the log that appears. NOTE: I do not need to review the log produced. OTL may ask to reboot the machine. Please do so if asked. 2. Please re-open on your desktop. Be sure all other programs are closed as this step will require a reboot. You will be prompted to reboot your system. Please do so. The above process will remove most/all of the tools used and logs created during the cleanup process. After it is finished, OTL will remove itself. This is so that if you are ever infected again you will download the most current copy of the tool. Delete any other .bat, .log, .reg, .txt, and any other files created during this process, and left on the desktop and empty the Recycle Bin. 4. Select the Tools menu and click Folder Options. 5. Select the View tab. 6. Under the Hidden files and folders heading UNSELECT Show hidden files and folders. 7. Click the Hide protected operating system files (recommended) option. Click Yes to confirm. Click OK. The files in System Restore are protected to prevent any programs from changing those files. This is the only way to clean these files: (You will lose all previous restore points which are likely to be infected, but that's good news). Note: Do not clear infected/old System Restore points before creating a new System Restore point first! Click Start > All Programs > Accessories > System tools > System Restore. The System Restore Wizard opens. Click Start, click Control Panel, and then double-click System. Make sure that the Turn off System Restore check box is not selected. Or, make sure that the Turn off System Restore on all drives check box is not selected. UN-Check Turn off System Restore. System Restore will now be active again. Below, I have included a number of recommendations for how to protect your computer against future malware infections. “CryptoLocker” is the generic name for an increasingly prevalent and nasty strain of malicious software that encrypts the files on your computer until you pay a ransom. Some variants encrypt you personal files(MP3s, photos, doc files,ect;). But ither variants encrypy virtually every file, including system files. According to reports from security firms, CryptoLocker is most often spread through booby-trapped email attachments, but the malware also can be deployed by hacked and malicious Web sites by exploiting outdated browser plugins. Unfortunately, there isn't a way to recover the files short of paying the ransom because the encryption uses 2048-bit RSA keys that would take like a quadrillion years to decrypt. Fortunately there is a program that will help prevent this type of ransomeware and other malware. You should download it and install it now. Click here to go to the CryptoPrevent web page. You can read about the program. There are also a couple of videos toward the end of the page that show the program in action. Scroll to the bottom of the page and click the Download "CryptoPrevent Installer" button and download the file to the desktop. Close the browser and all open programs. Double click the CryptoPreventSetup.exe file to install it. Next, Double click the CryptoPrevent icon on the desktop to run the program. When the program opens make sure all boxes are checked and then click the Block button to apply the protection. NOTE: I don't think the free version has an update tab so you will need to check the web site from time to time to check for newer versions of the program. Or you can pay a one time fee of $15 and get the Premium Edition which includes an automatic updating function. :Keep Windows Updated:-Windows Updates are constantly being revised to combat the newest hacks and threats. Microsoft releases security updates that help your computer from becoming vulnerable. Please either enable Automatic Updates or get into the habit of checking Windows Update regularly. They usually have security updates every month. You can set Windows to notify you of Updates so that you can choose, but only do this if you believe you are able to understand which ones are needed. This is a crucial security measure. XP Users: You must use Internet Explorer to Update Windows. 1. Click Start> All Programs, in the programs window that comes up, look for Windows Update toward the top of the list and click it. 1. Click Start, click Run, type sysdm.cpl, and then press ENTER. See this article and this article. I would recommend that you completely uninstall Java unless you need it to run an important software or need it to play games on-line. For Firefox, install the NoScript add-on. For Chrome, install the Script-No add-on. NOTE: After installing the add-ons you will need to tell them that the site you are visiting is allowed to run Java. Double Click Java - Looks like a coffee cup. You may have to switch to Classical View on the upper left of the Control Panel to see it. NOTE: Many installers offer third-party downloads that are installed automatically when you do not uncheck certain checkboxes. While most of the time not being malicious you usually do not want these on your computer. Be careful during the installation process and you will avoid seeing tons of new unwanted toolbars in your favorite web browser. 1. From within Internet Explorer click on the Tools menu and then click on Options. 3. Click once on the Internet icon so it becomes highlighted. 4. Click once on the Custom Level button. 5. Change the Download signed ActiveX controls to "Prompt"
6. Change the Download unsigned ActiveX controls to "Disable"
7. Change the Initialise and script ActiveX controls not marked as safe to "Disable"
8. Change the Installation of desktop items to "Prompt"
9. Change the Launching programs and files in an IFRAME to "Prompt"
10. When all these settings have been made, click on the OK button. 11. If it prompts you as to whether or not you want to save the settings, click the Yes button. 12. Next press the Apply button and then the OK to exit the Internet Properties page. If you use Firefox, I highly recommend these add-ons to keep your PC even more secure. WebOfTrust - a safe surfing tool for your browser. Traffic-light rating symbols show which websites you can trust when you search, shop and surf on the Web. MVPS Hosts file-replaces your current HOSTS file with one containing well known ad sites and other bad sites. Basically, this prevents your computer from connecting to those sites by redirecting them to 127.0.0.1 which is your local computer, meaning it will be difficult to infect yourself in the future. NOTE: Please read all of the information on the MVP Hosts page before you install the HOSTS file. This file may result in some of the web sites you visit not working as expected or not at all. There are work arounds for this but you will need to read about them on the web page. If you install the MVP HOSTS file and decide you don't want it you can replace it with the HOSTS file that you were using before. The web page has directions for this. Preventative programs that will help to keep the nasties away! We will start with Anti Spyware programs. I would advise getting a couple of them at least, and running a full scan at least once a month. Run Quick Scans at least once a week. Download the Free versions. And update the definitions before running scans. Malwarebytes-Free Version- a powerful tool to search for and eliminate malware found on your computer. SUPERAntiSpyware Free Edition-another scanning tool to find and eliminate malware. SpywareBlaster-to help prevent spyware from installing in the first place. A tutorial can be found here. WinPatrol - will alert you to hijackings, malware attacks and critical changes made to your computer without your permission. Help file and tutorial can be found here. It's a good idea to clear out all your temp files every now and again. This will help your computer from bogging down and slowing. It also can assist in getting rid of files that may contain malicious code that could re-infect your computer. TFC by OldTimer-A very powerful cleaning program for 32 and 64 bit OS. Note: You may have this already as part of the fixes you have run. CleanUP-Click the Download CleanUP! link. There is also a Learn how to use CleanUP! link on this page. Keep a backup of your important files.-Now, more than ever, it's especially important to protect your digital files and memories. This article is full of good information on alternatives for home backup solutions. ERUNT-(Emergency Recovery Utility NT) allows you to keep a complete backup of your registry and restore it when needed. The standard registry backup options that come with Windows back up most of the registry but not all of it. ERUNT however creates a complete backup set, including the Security hive and user related sections. ERUNT is easy to use and since it creates a full backup, there are no options or choices other than to select the location of the backup files. The backup set includes a small executable that will launch the registry restore if needed. It is also possible for other programs on your computer to have security vulnerability that can allow malware to infect you. Therefore, it is also a good idea to check for the latest versions of commonly installed applications that are regularly patched to fix vulnerabilities. I'd be grateful if you could reply to this post so that I know you have read it and, if you've no other questions, the thread can then be closed. IF I have helped you and you want to say "thanks", you can do that by clicking the at the bottom right of this post. Okay..... I have followed all your cleanup unstructions. I ran into problems with Step-6 this morning, as when I got to the last bit of turning system restore back on after restarting, nothing I clicked on would open and right-clicking My Computer had no effect! Panic panic! It occurred to me that I had downloaded a program called Malwarebytes Anti-Exploit this morning after reading that Malwarebytes recommend it for XP users. Luckily, I was able to unininstall the program via Start - All Programs (the only way as I couldn't get into Add or Remove Programs) and getting rid of it did indeed solve the problem! The desktop looks a lot tidier now - it was getting a bit crowded on there with all the different tools and reports! One thing though..... I still have the registry files set-upbak.reg and currentversionbak.reg on there. And now you know why we tell everyone not to install any software or programs or run any fixes on their on while we are cleaning the machine. Can't tell you the number times that I get a similar post either sometime during the cleaning process or at the end. The only difference is that most times I get told that they didn't install anything or make any changes or run any fixes that I don't know about. Then we have to go back through a fresh log to find the culprit. And then they remember. The BIG difference here is that you tracked the problem down. Good Job! I will have to do some research on the MalwareBytes Anti-Exploit program, but it sounds like it prevents changes from being made to system services and modules. That could helpful in securing the machine, but you need to understand what it does and how it does it so that you don't get surprised again. It's kinda like the the instructions for the MVP HOSTS file. A lot of users go ahead and install the hosts file, without reading what it is or how it works, then their browsers won't work like they did. Anyway, as for the .reg files left on the desktop. Leave them there for now. I'm going the let phillpower know that we are cleaned up so that he can look at the issues with the system. I will keep monitoring this topic and when he has finished we will delete the .reg files then. Thanks for your patience and all of the good work. Possible causes of the sound issue may include interference from nearby wireless devices, static electricity and power supply problems, power supply problem can also cause overheating which among other things can slow down your computer (mouse response etc). Speccy cannot tell us the brand and model name or number of the power supply unit, do you happen to know the details. Download Speedfan and install it. Once it's installed, run the program and post here the information it shows. The information I want you to post is the stuff that is circled in the example picture I have attached. If you are running on a vista machine, please go to where you installed the program and run the program as administrator. Click on the ALT key + PRT SCR key..its on the top row..right hand side..now click on start...all programs...accessories...paint....left click in the white area ...press CTRL + V...click on file...click on save...save it to your desktop...name it something related to the screen your capturing... BE SURE TO SAVE IT AS A .JPG ...otherwise it may be to big to upload... then after typing in any response you have... click on browse...desktop...find the screenshot..select it and click on the upload button...then on the lower left...after it says upload successful...click on add reply like you normally would. Screenshot instructions are provided to assist those that may read this topic but are not yet aware of the “how to”.